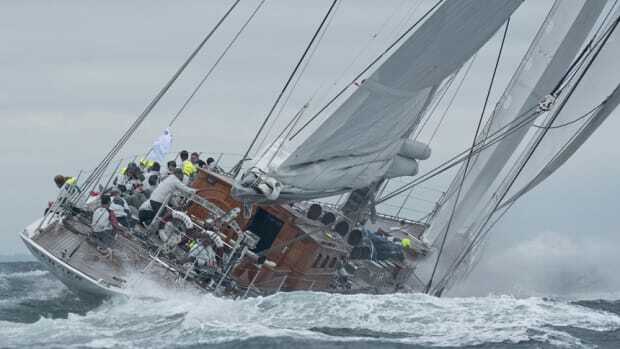 When Sabre Yachts retired its 54-footer in 2017, the company was left with an 18-foot gap between its flagship, the Sabre 66 Dirigo, and the Sabre 48. Since 2011, the Raymond, Maine-based builder of Downeast-style cruisers has built 130 of those 48-footers. 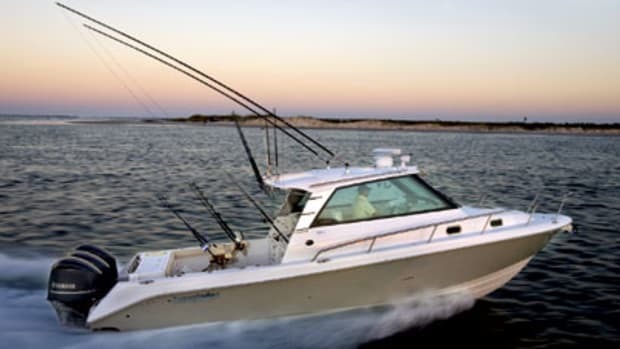 Some owners want to move up to a bigger boat, but the 66 might be too big. Now, with the Sabre 58 Salon Express, the gap is about to be bridged. “All models eventually come to an end,” says Bentley Collins, Sabre Yachts vice president for sales and marketing. 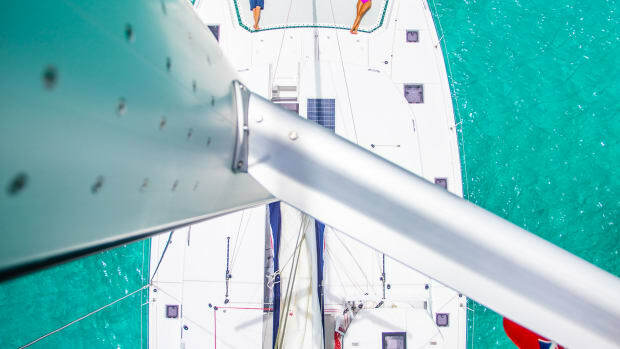 “The 54 was a great design, but the pressure actually came from the 48, which takes full advantage of the space below the helm deck.” The new 58 will also take advantage of that space, Collins says, and will include design elements from the two latest Sabre models, the 45 and the 66. 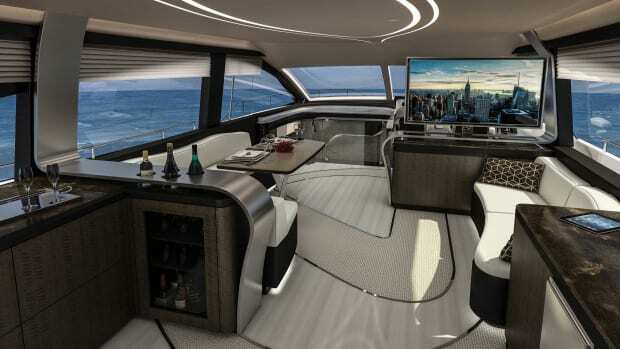 The 58’s interior has larger windows, an electric sliding sunroof, a stainless-steel cockpit door that spans the full bulkhead from the port to starboard sides, and single-step access to the salon and helm deck. The 58’s deep-V planing hull will be powered by Volvo IPS950 pod drives and is expected to cruise at 27 knots and hit 31 knots at wide-open throttle. 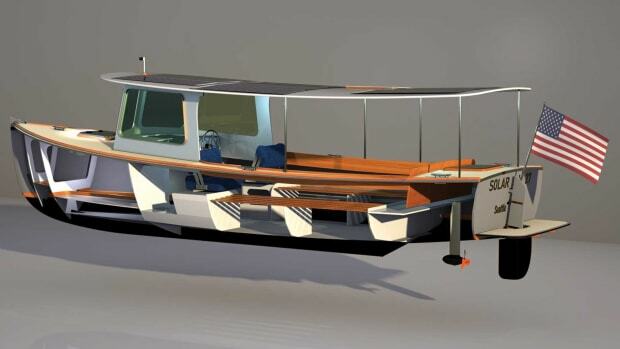 Volvo Penta Glass Cockpit accessories and a digital CZone switching system will be standard. The salon will have a U-shaped lounge to port and a straight settee to starboard with drawers below. A galley, located aft in the pilothouse, will have a U-shaped counter to port with a linear counter to starboard. A three-burner induction electric cooktop, a convection microwave oven, fridge drawers and freezer drawers will be standard. 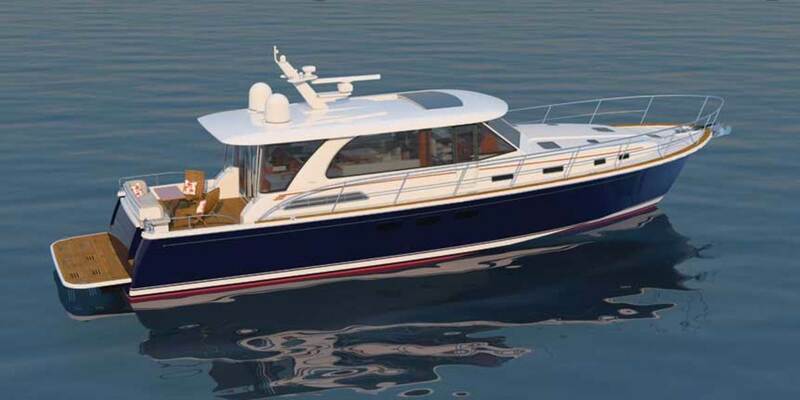 Belowdecks, the 58 will have three ensuite staterooms, including a full-beam master with a walkaround king berth. All staterooms will have flat-screen TVs. There is an option to expand the standard topside sound system belowdecks. Back up top, the cockpit will have forward-facing, centerline seating, a table and a retractable SureShade. Port and starboard transom gates will provide access to the swim platform. Among the many available options are a Seakeeper 16 gyrostabilizer and a central vacuum. 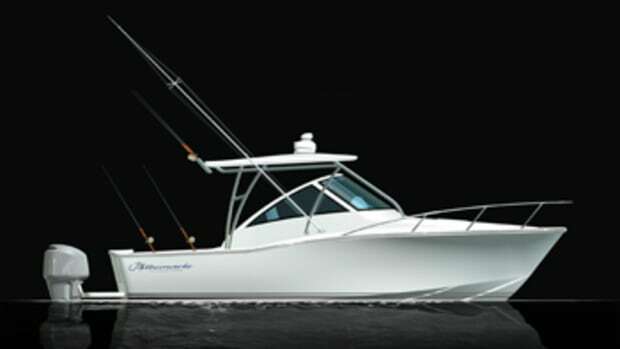 The Sabre 58 is slated to debut in late 2019. For those who think 48 feet is too small and 66 feet is too big, the 58 might be just right.